Union County Freeholder Sergio Granados joined Rahway Mayor Raymond Giacobbe, Rahway Fire Chief Michael Roberts, Rahway Director of Public Works Michael Smalling and Union County Bureau Chief of Recycling & Planning JoAnn Gemenden in reviewing the new oil recycling igloo provided by Union County at the fire station on Main Street in Rahway. (Photo by Jim Lowney/County of Union). 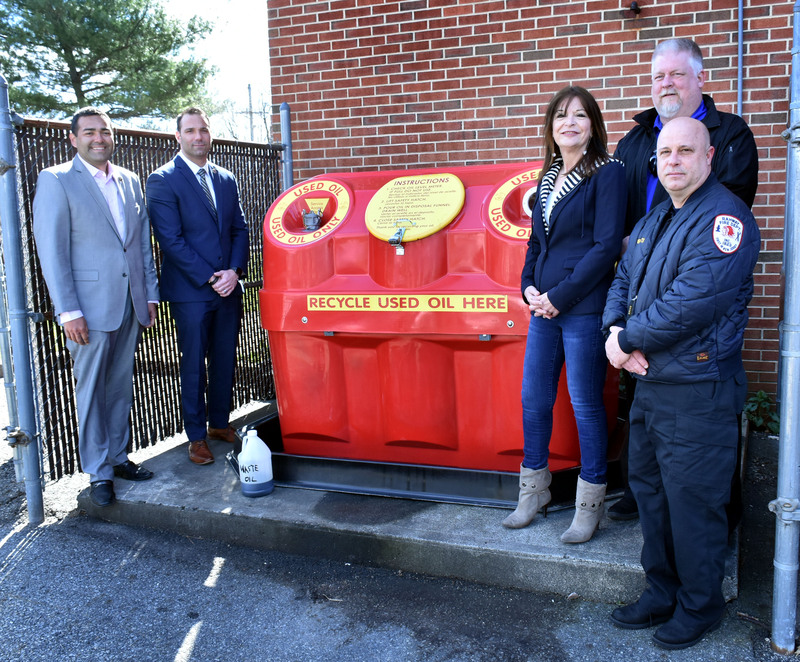 Union County, NJ – The Union County Board of Chosen Freeholders reminds do-it-yourselfers that free motor oil recycling is available at 16 locations through Union County’s Bureau of Recycling.